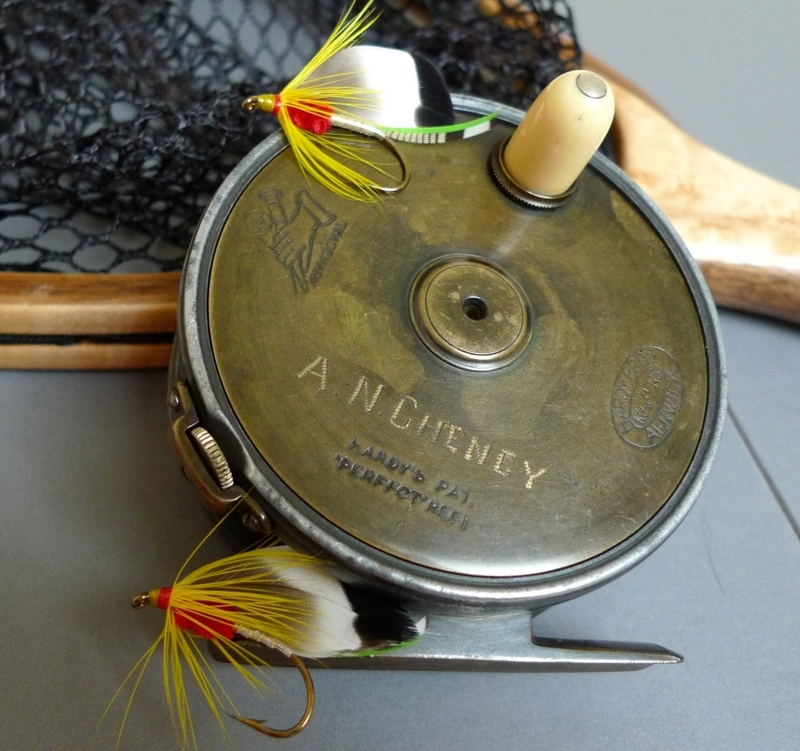 This entry was posted in Fish Stories and Other Tales, Fly Pattern Recipes, New Book, Wet Fly Photos and tagged A. N. Cheney, American Museum of Fly Fishing, Cheney Bass Fly, Favorite Fishing Flies - 1892, Fishing With the Fly, Hardy Perfect Reel, Mary Orvis Marbury, Puffer, Puffer Pond. Thanks for your comment! I’m happy you enjoyed the article and the fly! I’m not a fan of Newcastle Brown, give me a good Cider anyday, do you have Magners over there? When you come over here, if you have the opportunity to meet Dave Brandt, don’t tell him you don’t care for Newcastle. 😦 That’s his favorite! That cider you named, I’m not familiar with it; I generally don’t drink them (having been spoiled on hard cider that my dad made) 🙂 but I do like Woodchuck Draft Cider. Haven’t had that in years. I usually choose some ale, lager, Pilsner, or stout. Not too fussy! 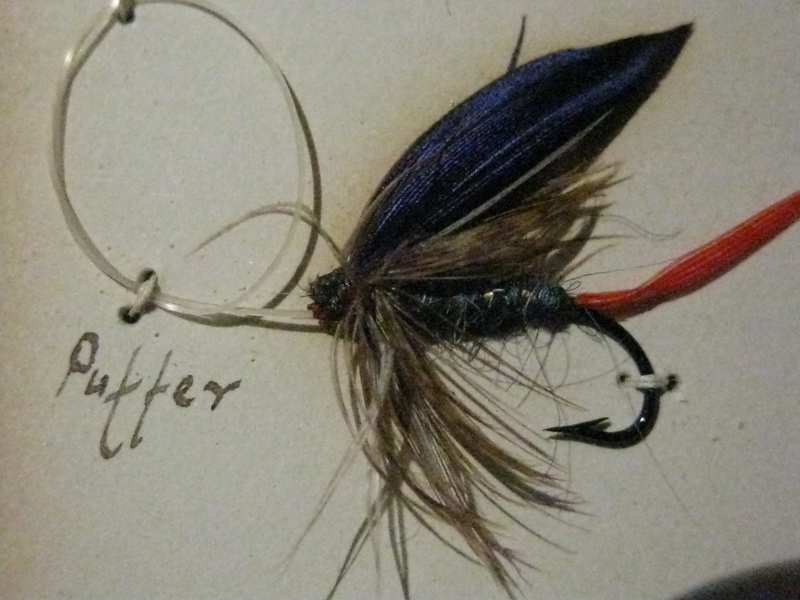 Yeah, tie flies and drink a few of those. On of the guys used to bring a case of Woodchuck to deer camp. Good stuff! Another fascinating story. Great stuff. Glad to hear your doggie is doing good. 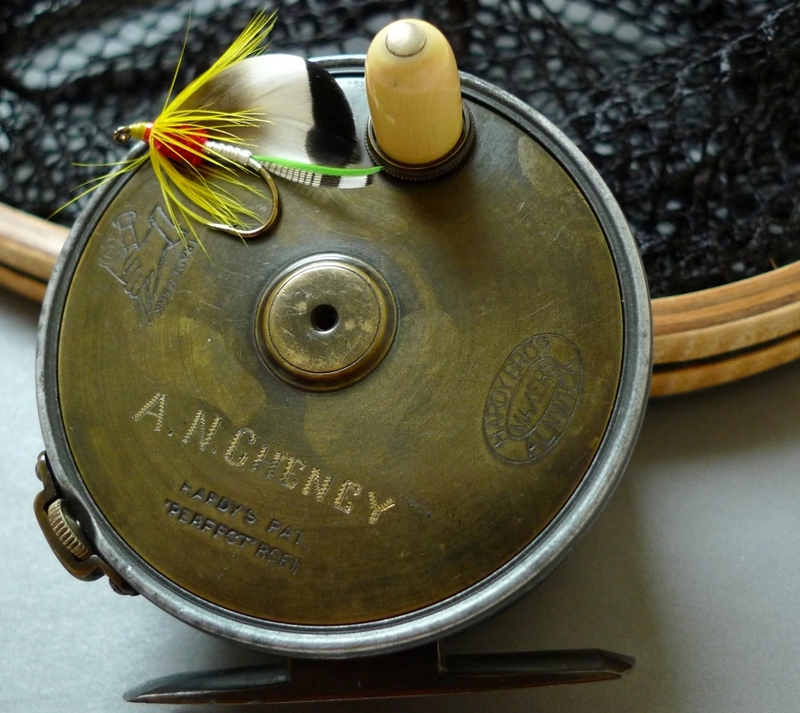 Thanks for the outstanding flies, and bit of history. The photos are spectacular too!!! Thanks for your comment, I am glad you liked the article. 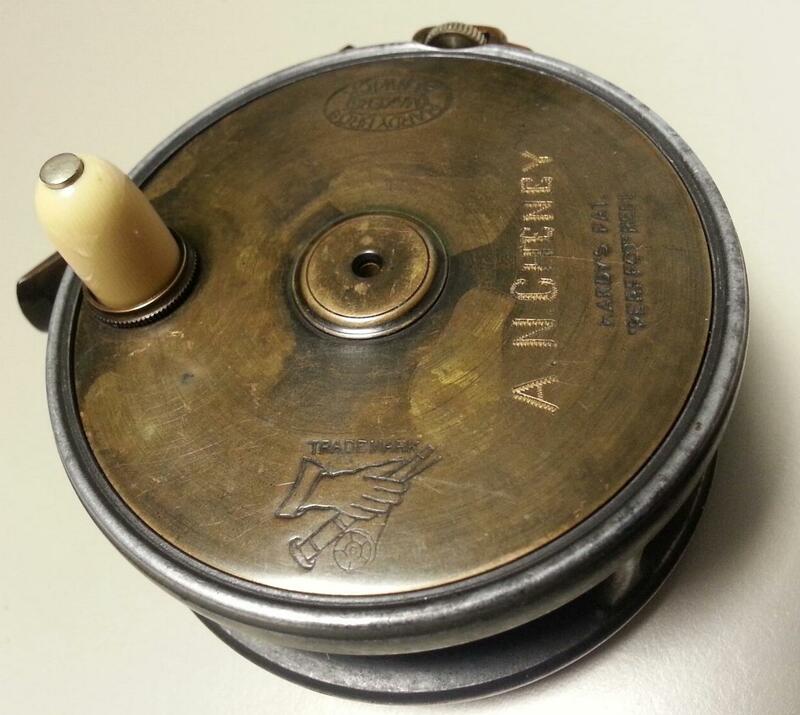 Always nice to have an enjoyment for fly-history and old stuff. Thanks again! 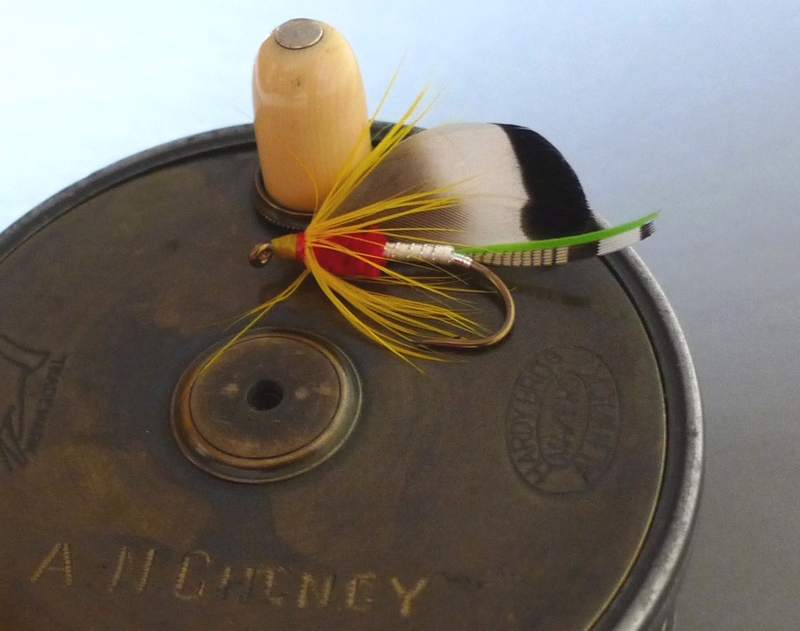 I found out from repeatedly tying all the wet flies – 440 – from Ray Bergman’s book, Trout, that red quill sections are the most-used color for tails, because that’s what I used the most of in the lower portions of the wing quills where the fibers are softest and best suited for tails. Mary Orvis Marbury wrote of scarlet ibis feathers, and I’m paraphrasing from memory, that “it is used in nearly half of all the flies.” Red does make a great accent color, and whether it was popular because the fly tiers liked it, or the fish loved it in combination with the fly pattern is anyone’s guess. There is definitely something about a bit of red in a fly though, even realizing the color as we see it changes as the water gets deeper and there is less light to illuminate the colors as we see them. Thanks for your comment!